Complete Audition Form (click on attached pdf below), print out and bring to the audition with you. See link in Mane Events or in Talent Show Information email that went out to students. You need all costumes, music tracks, videos ready for audition. Audition like it’s the real performance. If you don’t have all of your production elements and performance ready to go for auditions, you will not be able to be in the talent show. After auditions, you may not make any changes to your act unless we tell you differently. 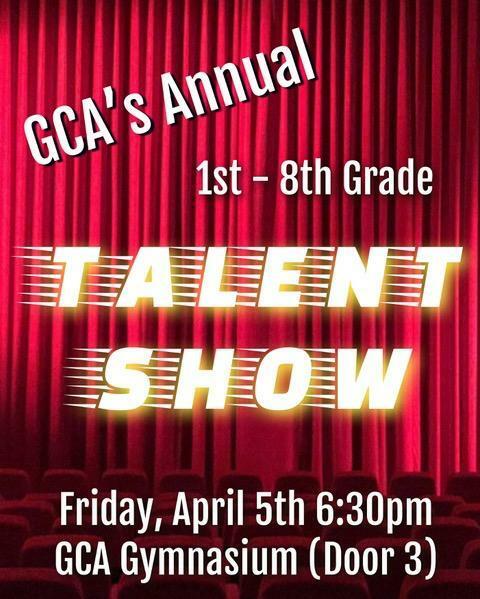 All performances MUST follow GCA appropriate language, dress code, and music choices. Any inappropriateness may disqualify an act. The length of the performance should not be more than 3 minutes. Students are only allowed to be in one performance act.